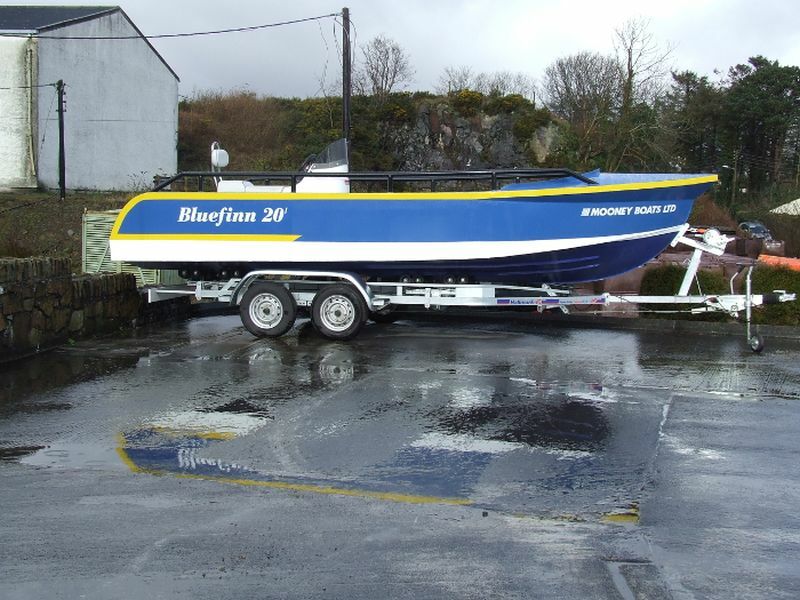 After successful trials the new Bluefinn 20 from Mooney Boats was sold to marine civil engineers Ascon Ltd. Ascon Ltd is the largest Civil Engineering Contractor in Ireland. 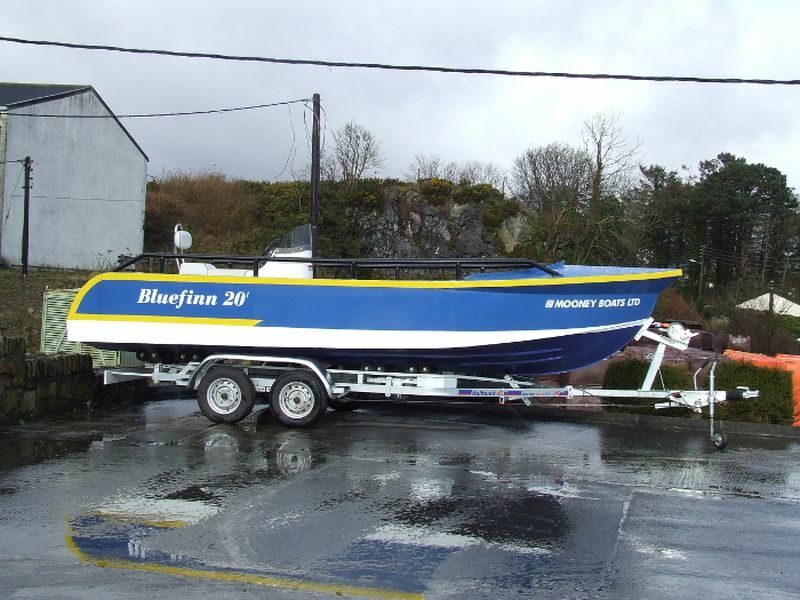 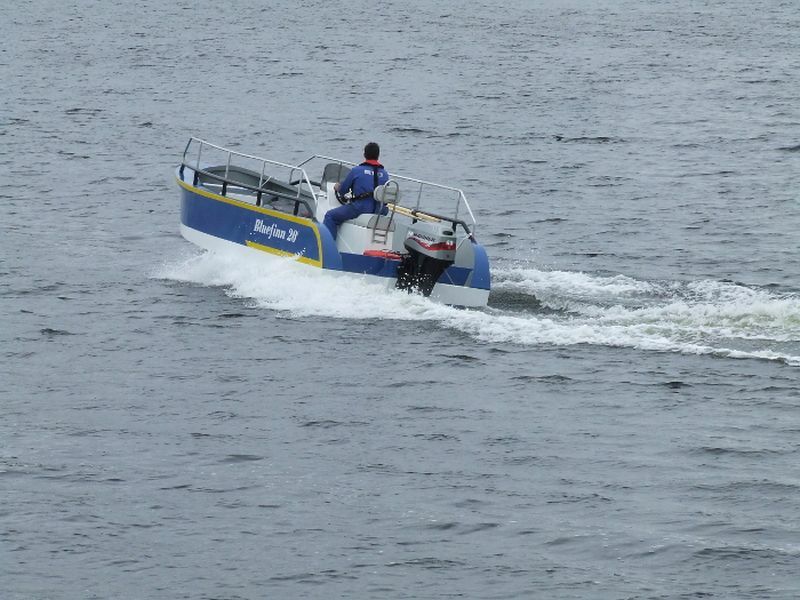 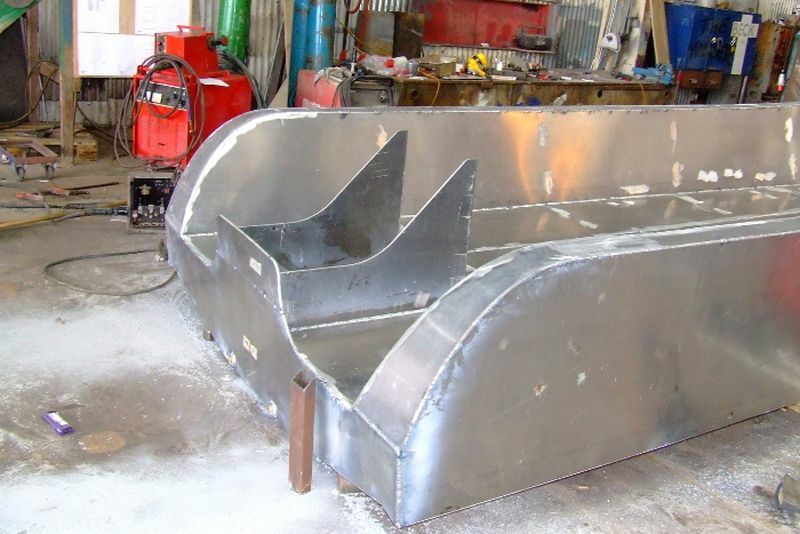 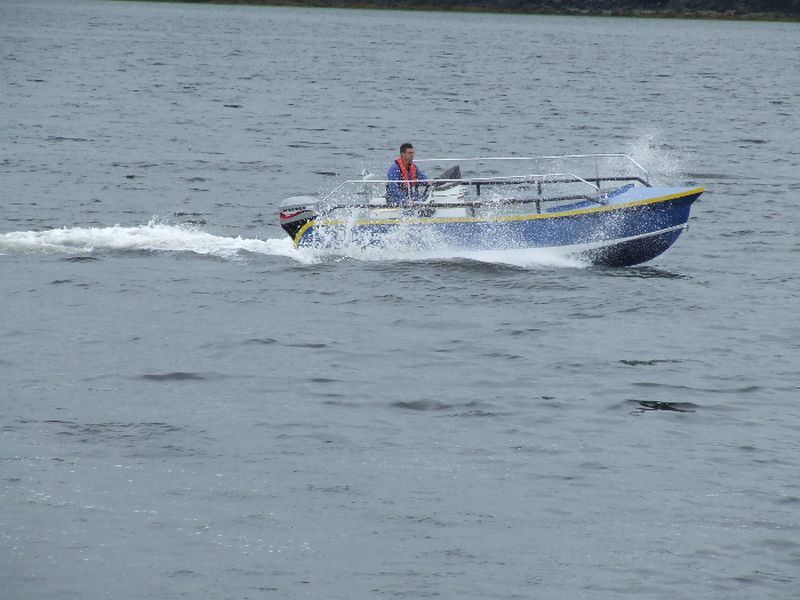 They are going to use there new Bluefinn 20` as a fast rescue boat / work boat on the construction of the bridge over Mulroy Bay in County Donegal. 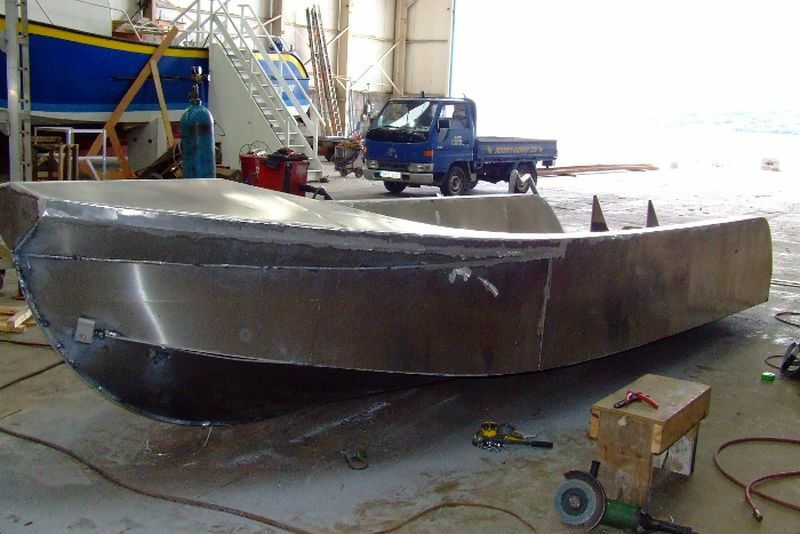 The landmark bridge will be a high level multi-span construction over a sea estuary, with a 350 metres long, main span of 100 metres, and a clearance height for shipping of 20 metres. 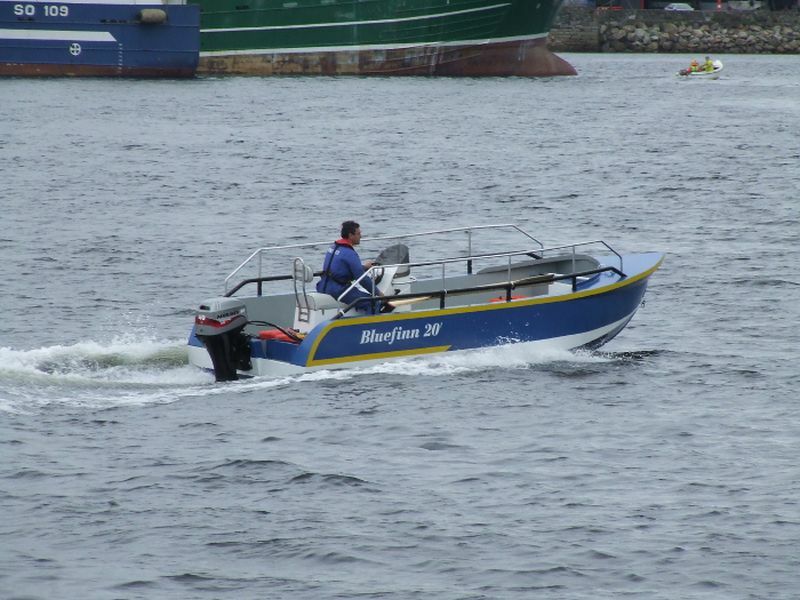 Designed as a robust, safe workboat by Marine Design International the Bluefinn 20` was fitted with an efficient 50Hp Yamaha for the new owners giving her a top speed of 25knots. 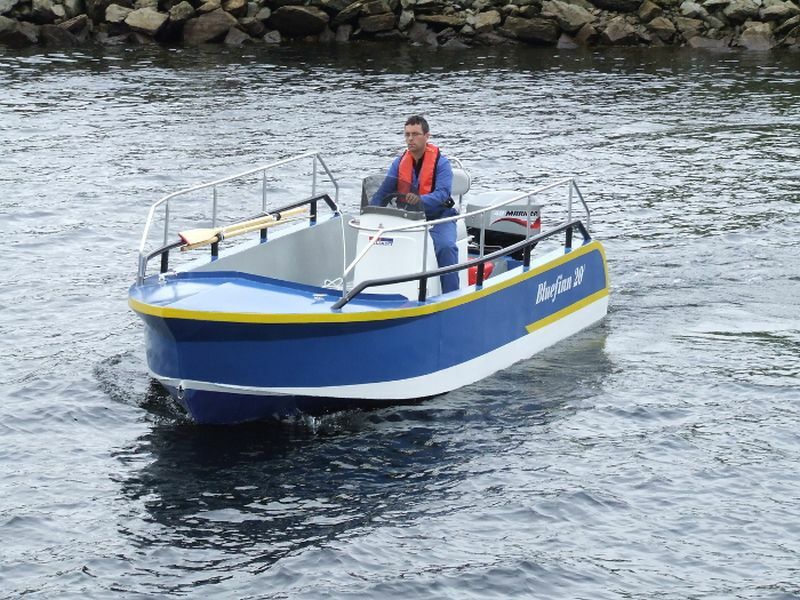 The Bluefinn 20` was then classed by the DCMNR with a P4 license she will be used to transfer workers to and from construction sites. 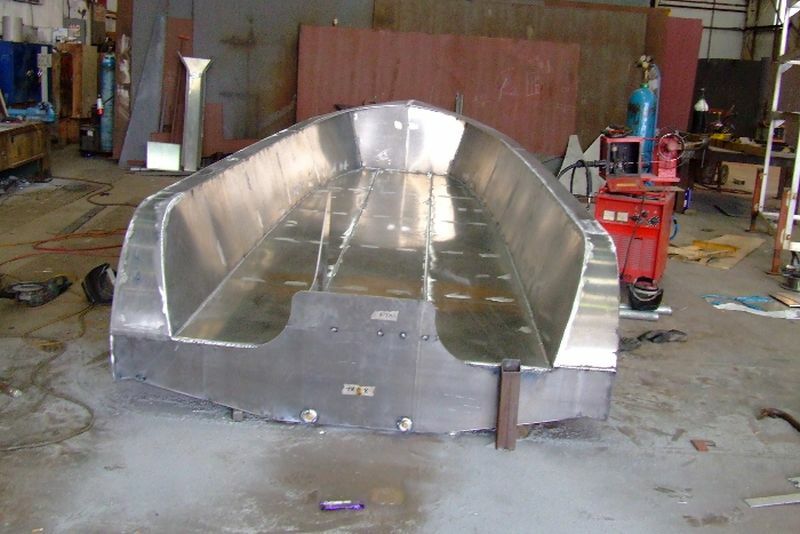 There are several points of interest in this design, the concept being derived from rigid inflatable boats her deck is self draining and her hull, bulwarks and forward compartment are watertight allowing her to stay afloat and upright even if completely swamped. . Not having inflatable tubes also allows a wider deck within the beam restriction; she is also easily trailable by a large car or 4×4. 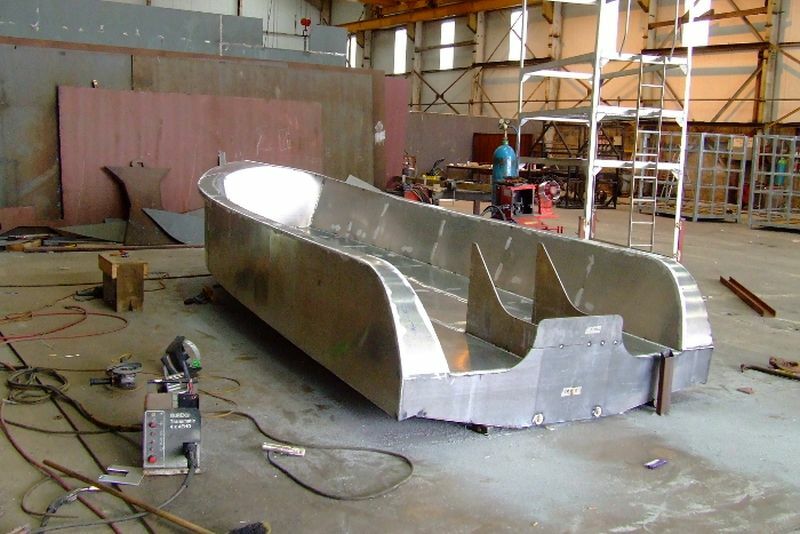 The removal of slotted boards either side of the engine leave her transom flush with the deck allowing no water to gather on deck, similar to the Atlantic 75 lifeboats and the wide low space either side allows easier recovery of divers or casualties if used in a rescue role. 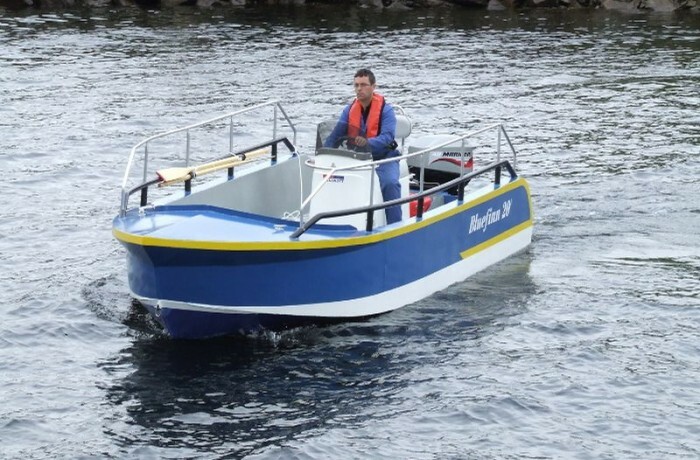 Structurally she is designed well in excess of Lloyd’s special service craft rules with a combination of 8mm and 6mm marine grade aluminum to withstand a hard working life. 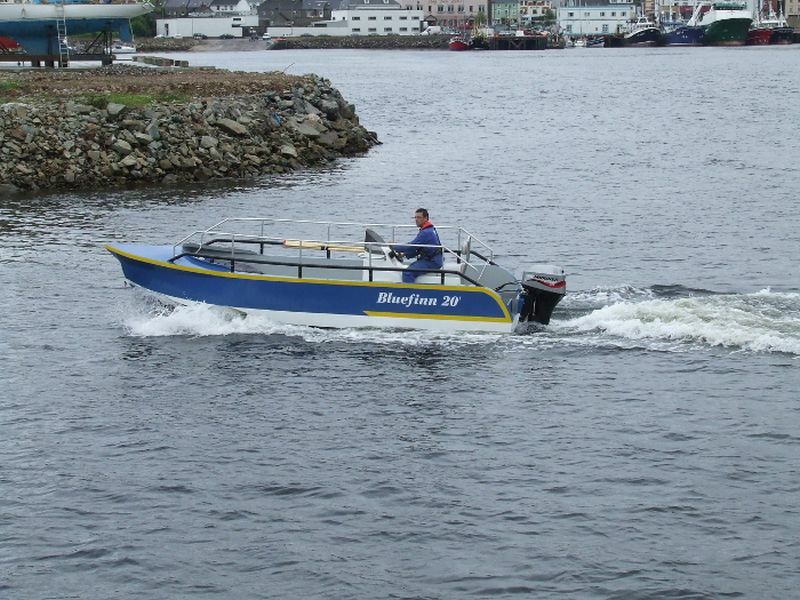 Various configurations are available for either cargo or passengers. 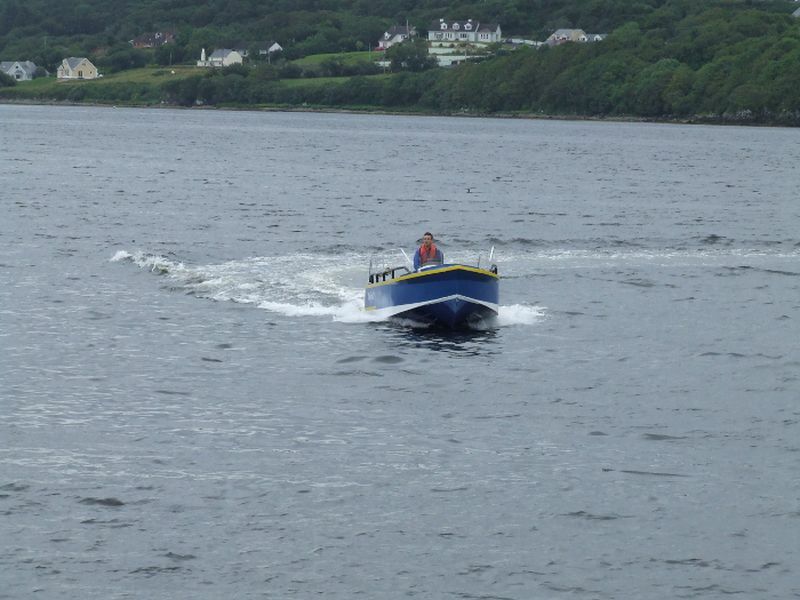 For further information please contact Mooney Boats Ltd Ireland.